I don't know if I've written in a previous post that for two and a half year already I've been working at the office of the Guatemalan Ombudsman. I have many things to write solely on the topic of being a public servant, I want to write about the difference between the public and private sector mindset, the difference on incentives, organizational culture, etc. I shall do that when I turn in my post. Right now I have the privilege and responsibility of leading a the national team of human right educators/promoters and we have meetings every 3 months that we call ENCUENTROS. That is what I want to tell you about today. 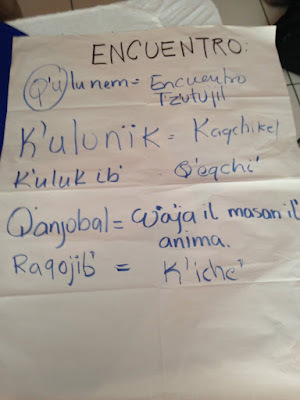 In the last ENCUENTRO we reflected a little bit about that word and how it expresses so much more than a work meeting, it´s not just a session its also a reunion. 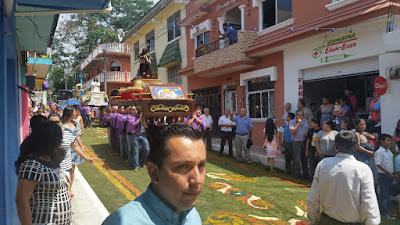 It is a MEETING in the whole sense of the word people come from all departments of Guatemala: Petén, Huehuetenango, Juitapa, some from regional offices that are deep inside the heart of Guatemala like Ixcán. We set the place and time to MEET (this last time was in Zacapa) and one day before depending on the distance people star making the way to are place of ENCUENTRO. As we start getting together, at different points of the way, to travel together the excitement starts building up, hugs, laughter, jokes but also take the opportunity to ask for advice on a subject or coordinate a project. What an exciting post to write this is. 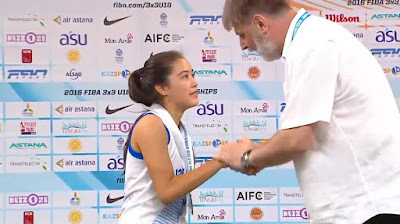 Not only I am excited about the first ever world event Medal for Guatemala on Basketball but I am personally thrilled about Nathaly Pinelo since she is Cooper's (my youngest son) cousin, plus if you ever meet her you will agree that she is amazing not only as a player but also as a person. She is a team player, strong yet sweet, perseverant but patient, humble yet ambitious. So here is the story. Guatemala a recently participated at the FIBA 3x3 U18 World Championships 2016 in Astana, Kasakhastan. The Delegation leaving towards a land far far away! They participated as a team on the subsequent days with less success (you can't teach tall). 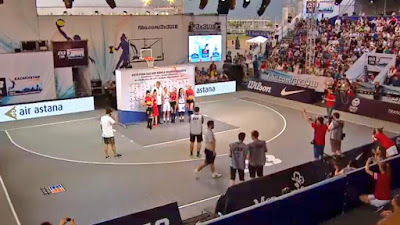 On Friday came the finals for the skills competition. Here is the video when she wins the bronze medal I get chills listening to the commentator mentioning her name and saying Guatemala...! 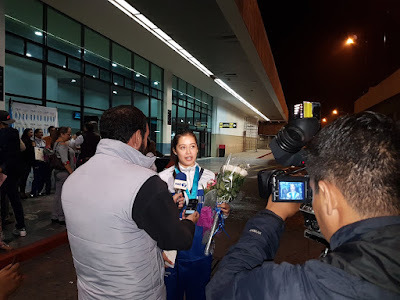 On Monday night we went to the airport to welcome Nathaly and the delegation. They came at 11pm and were received by a member of the board of the national sports authority CDAG, Erick Acevedo and the President´s sports commissioner Gonzalo Romero. 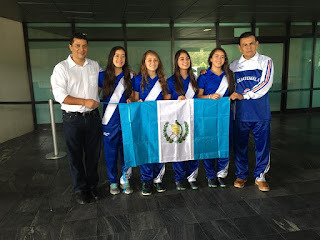 The next day three of the girls traveled back to their home town Cobán Alta Verapaz, where they were welcomed with great enthusiasm by their fans, friends, family and also the local authorities. 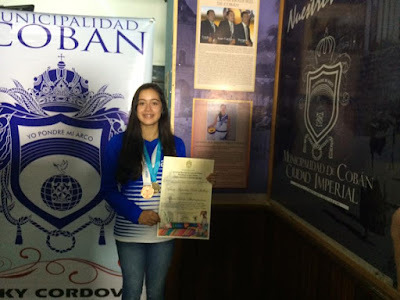 The mayor of the city gave them a special recognition and put Nathaly's picture and story on the hall of fame of the city. The Basquetball Asociation of Cobán definitely is doing something right, congratulations the them too! 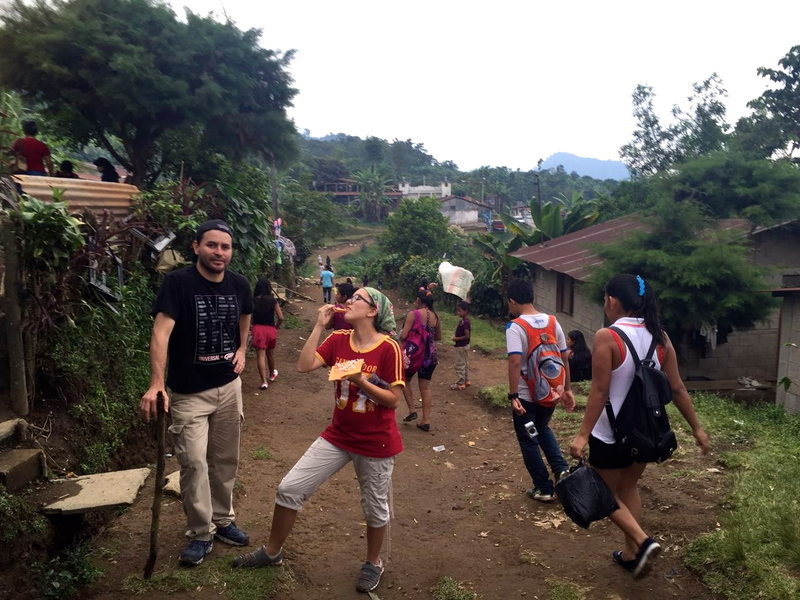 I already told you about our easter trip to San Rafael Pie de la Cuesta, San Marcos. 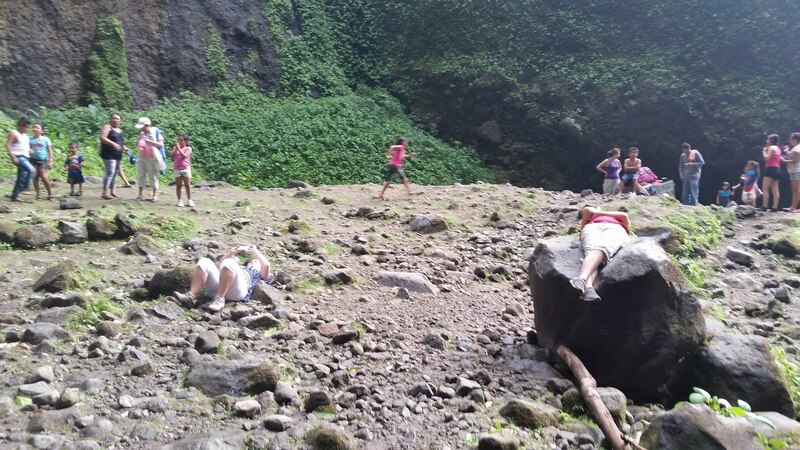 Well one of the eco activities we did was visit the Igualdad Falls. (The Equality Falls). The most exciting aspect was to see how organized the community is around this attraction. You know you are there because there is a big billboard and community men are ready to help you park and collect the parking fee. Everyone is super friendly. You walk through the town, people have food to sell, the way is marked and you are just glad the government is not involved. It is a protected area but private. We went on Good Friday so all the way to the falls we found people. We were of the few that were going toward the fall most everyone was wrapping up the day and almost all the about 300 people we crossed with on the way told us we were late. Most of the people seemed like they were local people from villages around, nobody with REI outfits or fancy backpacks or camelbacks, just people enjoying a family outing. It is on the side hill of the Sierra Madre, the vegetation is as natural as it gets, the colors, the smells, the sounds and it just fills you up with all good things. The walk going is first down hill (the only thing I could think of was that I had to clim the hill coming back). 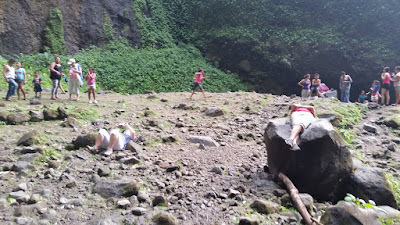 After about 15 minutes you start climbing and after about 10 minutes you get to the first falls and the hot spring pools. That is were the paying post is. People form the community are there charging, they take care of security and ornate. The community also gets the chance to sell water, some people also charge to help you carry your pic nic basket, it's just great! I think we payed Q10.00 per persona, its a bit more if you are going into the thermal pools and you might have to pay more if you want to camp. We asked how many people had visited today an according to the tickets sold about 800 people. I probably shouldn't write this or the government will want to take control and ruin everything! After that point we walked another 15 minutes up hill and there they were! The tallest falls in Guatemala and some claim the tallest in central america. The sign at the community says 201mts drop the official protected area website says 184 mts. Regardless of how tall the drop is they are amazing! You can see the pool that forms at the bottom it is cold water. Next time we will bring swimsuits. Here we are taking in the energy from the earth. Recharging! Coming back was also really nice, couple of people were still coming "in" so now we said you are late! Although most of them actually weren't since they were going to stay camping. Yeah I made it back to the top! On easter on the street of San Rafael de la Cuesta, San Marcos, I stopped the goat milk seller to buy a cup of fresh milk. Comes out, of course, warm and foamy an it sells for Q5.00. Growing up every once in a while we would stop to get a glass of "leche al pie de la vaca" (milk at the foot of the cow would be the literal translation) so I wanted to share that memory with the girls... Nicole took a sip, Megan passed and Jorge also had only a sip since he is lactose intolerant although later we found out that goat milk has less lactose than cow milk. 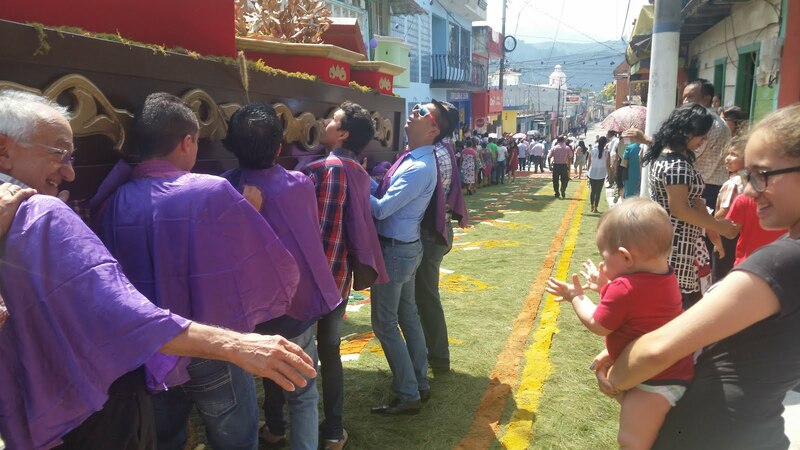 This last Easter week we went to San Rafael Pie de la Cuesta a town 57 km west of San Marcos, close to the border of Mexico and on the shadow of the Tajumulco Volcano. It is a town of the municipality by the same name. Although it is a small town it is definetly a happening place. 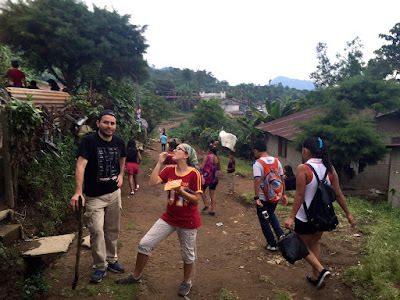 We participated in the local religious activities, shopped all the second hand clothing stores, ate at the local market and also were able to enjoy a some of the ecoturism the area has to offer: La Igualdad Falls and Refugio del Quetzal (other posts on this will follow). We need to go back to climb the volcano, visit the Niagara Falls (yes another Niagara) and do a day trip to Tapachula the first town in Mexico. 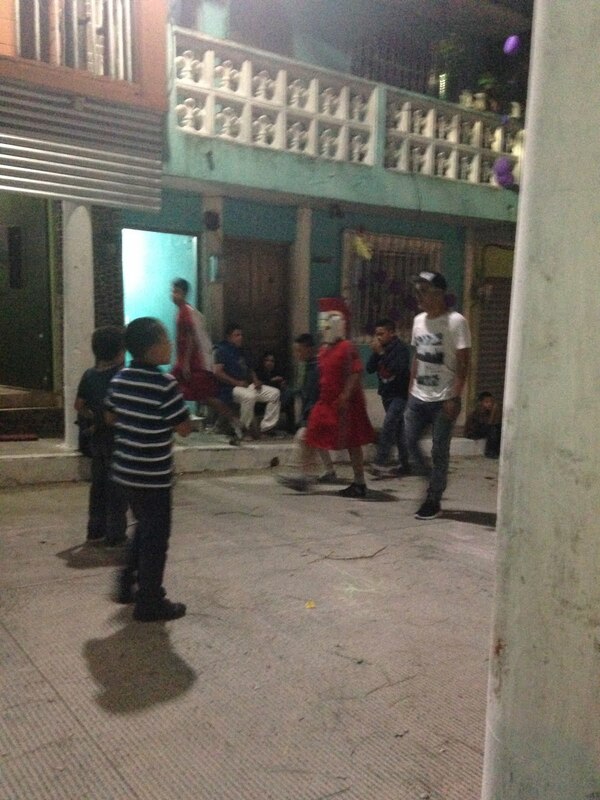 Kids felt free since at the town of San Rafael it's still safe for kids to play on the street, and go to the store by themselves. My parents stayed at Hotel Victorias in San Rafael a very nice, comfortable hotel with a cold cold pool. We stayed at the village Feria, 10 minutes up hill from San Rafael at the house of a cousin built next to where Cooper's (my youngest son) grandma was borned and raised. You wake up there with a magnificent view of the Tajumulco volcano. Of course the biggest highlight was the time spent with family. 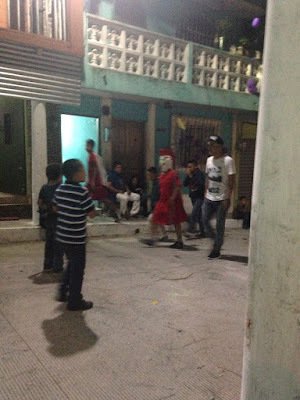 San Rafael and most of the villages around reeenact the Passion through all the week with romans, thieves, demons, the disciples and Jesus. Satan roams around town in the afternoon and evenings looking for Jesus to tempt him. The disciples walk around town. On Thursday the last supper is reenacted, at night Jesus is left in a prison built in a street and the next day is crucified. At the same time on Friday all streets where the procession will pass are covered with sawdust rugs. We were able to but turns for Q10.00. I was worried if we needed a special attire like you do in the big procesions at Antigua and the city but they are quite practical, when your turn comes you just put on a purple cape. As I am writing I am wondering if the resurrection is also reenacted. I don't know since we headed back early Sunday morning. If you come to Guatemala only for a week and for the first time, San Rafael is not one to make the list, but if you are here for a longer stay or repeated tourism I highly recommend it. I was introduced to this wonderful place by my colleague Carol. We went to Huehuetenango for work and had to go the next day to Quiché so she suggested we stop by this place for breakfast. I am not sure if Colitas de Ratón (mice tails) is the name or nick name. 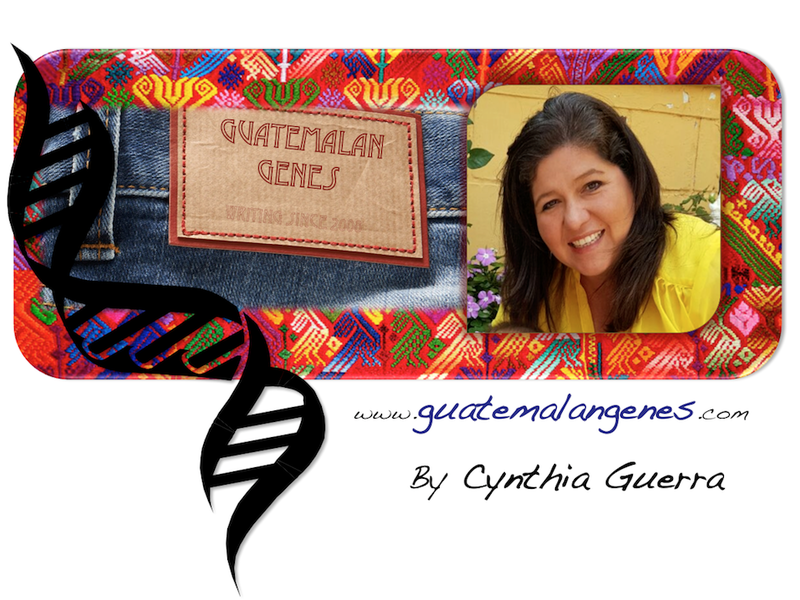 There is a Facebook place as Colitas de Raton La Cuchilla Sololá. I have to make a comment that I took the long route I could have taken a more direct route Huehue-Quiché that I totally forgot it existed, but looking at this post and thinking about the flavor and experience I say it was worth it. So this place I have gone by many times but it is so tucked in that you have to know about it. Coming from Guatemala to Xela you pass Los Encuentros then you pass the turn to Solola and 50 meter after on the left at the foot of the footbridge there it is! There is an area for some 15 cars you think its closed but it isn't, open the door come in and sit down. You will be asked if you want coffee, the answer is yes and so you will get already sweetened coffee and sweet bread. Next question is small or big (one skewer or two of meet). As you can see in the picture they are roasted right on the fire. To complement you meal you will get beans and tortillas. Judging for the publicity poster on the wall I guess for lunch instead of with coffee you can order it with "a fifth" actually in Guatemala is an 8th (un octavo... Un octavo de Indita). 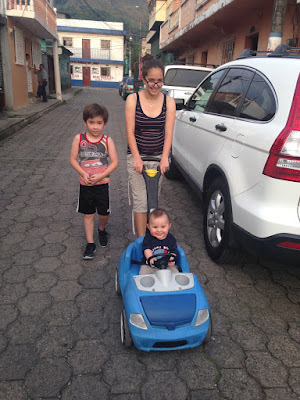 The Transmetro is Guatemala's city least expensive (Q1.00 with ulimited transfers), cleanest and safest public transportation, proof of that is that I am writing this post riding on it not worried about getting my phone stolen. The transmetro is an exclusive lane bus with a coin collector at the entrance of ech station to pay. If you want to write you need a one Quetzal coin or stand there pretending that you are trying to find one with a fustrating face saying I know I have, one until someone (I have been that someone) offers to give you one. I go work once or twice a week by transmetro which gave me the idea of writing a series about traveling by transmetro in Guatemala city. I will call it "Eje Central Stories" since that is the line I mostly ride. I take from beginning to end: Hangares to Tipografía.